Advertising tower with roof terrace and 70 sqm ad space, unique shape and impressive height. 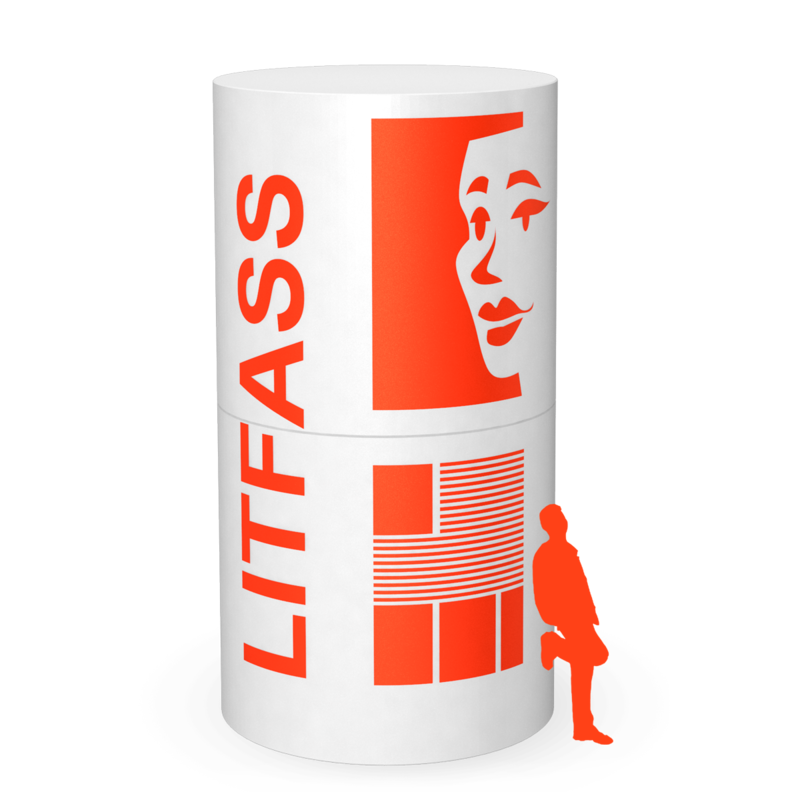 This Litfass column will communicate your message in all directions on a towering 360-degree surface. Advertise, communicate and entertain: the bboxx Event Tower can do all this for your high-calibre events. 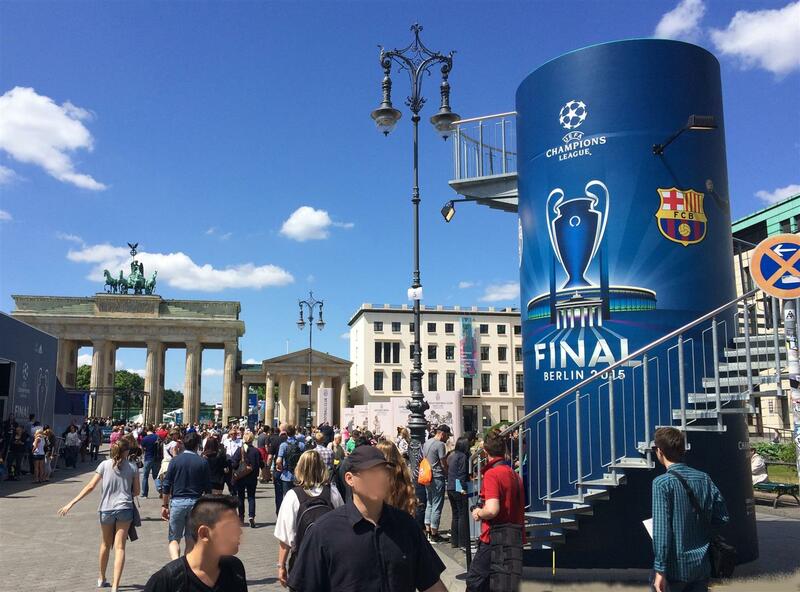 bboxx Look-out in Berlin at the Brandenburg Gate during the finals of the UEFA Champions League 2016. The bboxx Event-Tower is the attraction at festivals such as the Hockenheimring. It unites three important roles under one roof: meeting point, look-out, and advertising space that cannot be overlooked. Two small bboxx Look-outs feature the official Berlin public transport provider's information centre during the construction of the No 5 underground line. This bboxx Event-Tower provides a complete overview of Berlin Alexanderplatz at the mehrwert Festival, and boosts brand awareness on its 360-degree advertising space. 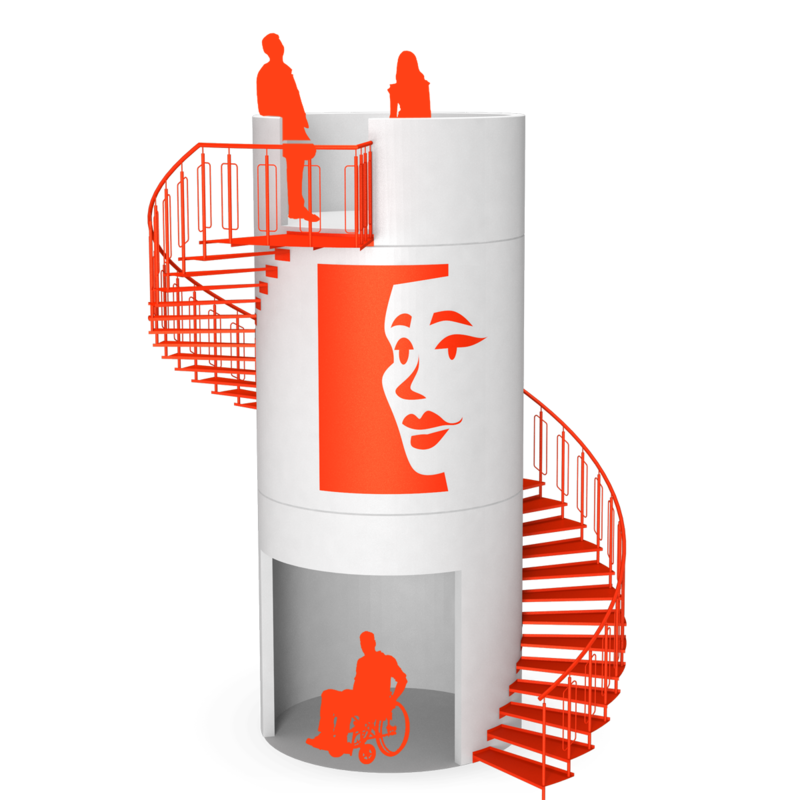 At highly frequented spots, the bboxx Event Tower provides a 360-degree visibility for your messages and images on up to 80 square metres surface, as well as a small exhibition or information room on the ground floor. A real attraction for open-air events, touring exhibitions, or fan miles. As high as a building, but nevertheless transportable, bboxx Ad Pillar's 40 sqm space cannot be overlooked. The whole surface can be designed individually. 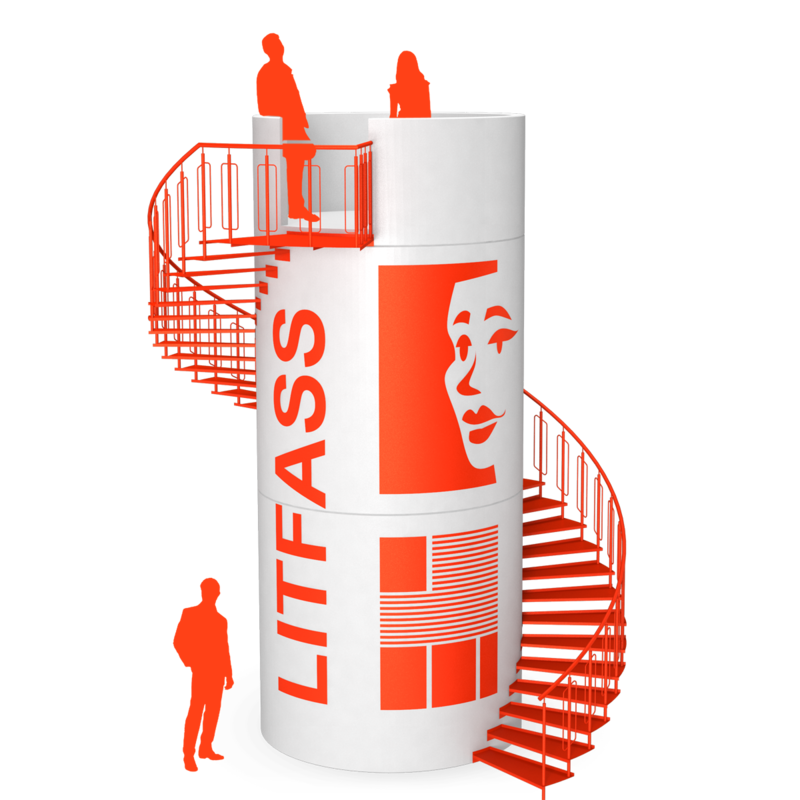 The round, transportable bboxx Event Tower will attract attention at events of all kind. It is available as bboxx Look-out, bboxx Advertising Column and bboxx Event-Tower. The imposing hight makes it ideal for large outdoor events. The concrete steel structure is weather-proof, lockable, and can be transported, and assembled in a only a few hours. The long-range visibility of this walk-in outdoor advertising column is provided by the 40 sqm, 360-degrees surface of the bboxx Event Tower. The powerful out-of-home advertising medium can be branded in all colours, by finish or full and partial plots. Other than at festivals, large sporting events, garden shows and fun parks, the striking communicator has proven its multifunciontal presence at high-profile construction projects. It combines information billboards on the outside with two-level meeting room facilities on the inside. Another plus: In Germany, the bboxx Event Tower is classified as a "flying structure" (Baubuch). and often does not require a building permit if installed temporarily. The newest edition of bboxx Event Tower is the bboxx Hoteltower, a three-level mobile hotel room with private roof terrace.